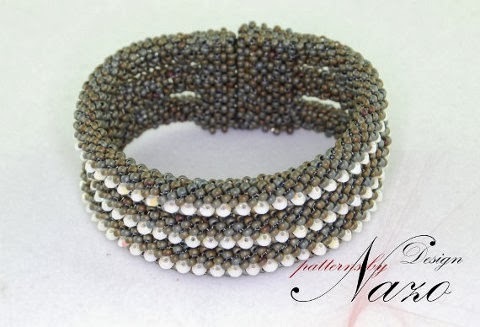 A beaded cuff made by seed beads and Swarovski Crystals. This necklace is a unique, brand new design of Nazo Design©. A technique called Nazo Weaving II® is used to make this beautiful piece of art. The technique itself is developed by Nazo. * I offer the pattern, not the cuff. Pattern is created by Nazo Design©.